One of the Midwest’s most anticipated indoor sports tournament facilities, managed by the Sports Facilities Management (SFM), has announced Community First Credit Union as the naming rights partner of the new sports center. Opening fall of 2019, this elite sports tourism facility serving Wisconsin and beyond has officially been named the Community First Champion Center, Fox Cities. In the 2018 fiscal year, The Hoover Met Complex out-performed both projected economic impact numbers and budget allocations. The state-of-the-art facility, managed by Sports Facilities Management, created $14.86 million in total economic impact from out of town visitor spending and local events. 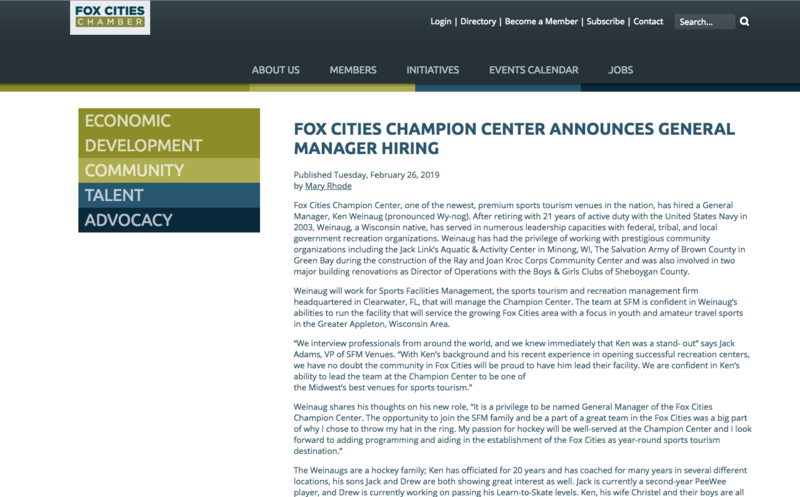 Fox Cities Champion Center, one of the newest, premium sports tourism venues in the nation, has hired a General Manager, Ken Weinaug (pronounced Wy-nog). 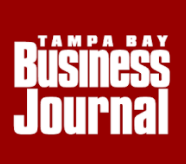 Weinaug will work for Sports Facilities Management, the sports tourism and recreation management firm headquartered in Clearwater, FL, that will manage the Champion Center. 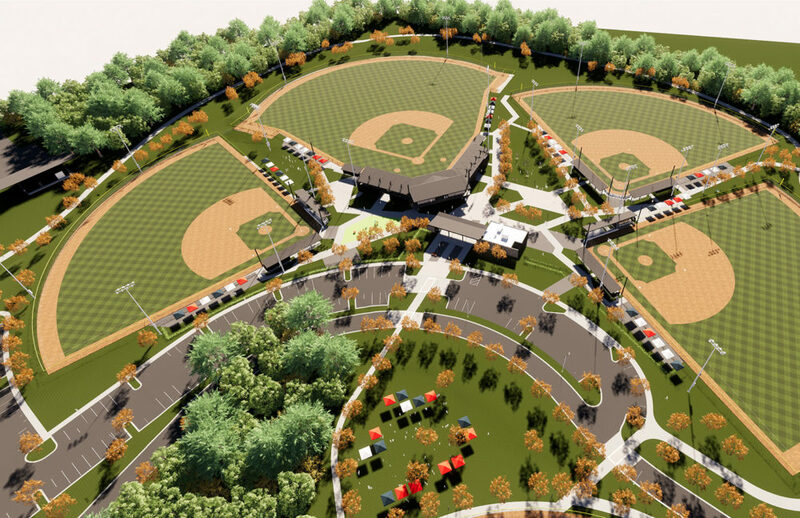 The city of Albertville, AL is transforming sports and recreation in their community with the unveiling and ground breaking of their 130-acre Sand Mountain Park. Scheduled to open in 2020, the park includes state of the art athletic facilities, amphitheater, indoor sports and fitness center, aquatic center, as well as many outdoor walking trails and playgrounds. The city has chosen industry leader, Sports Facilities Management (SFM), for facility design consulting and procurement services. 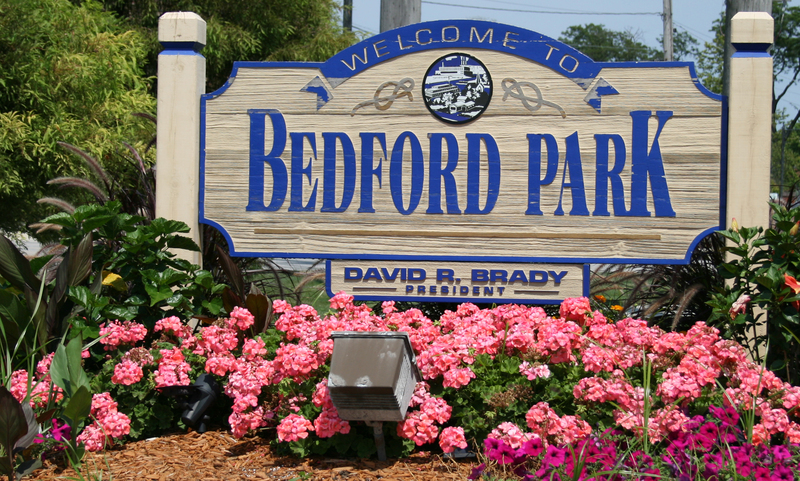 Following a formal procurement process that began in May 2018, The Village of Bedford Park, IL has selected Sports Facilities Management (SFM) to manage and operate their new sports tourism-focused facility in 2020 and beyond. 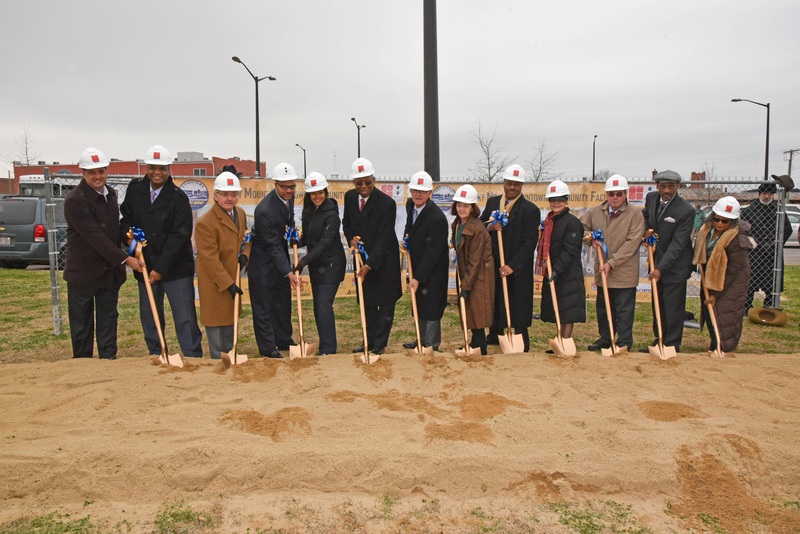 SFM joins the team with Village leaders and Hunden Strategic Partners who have been in partnership for the development of Bedford Park near Chicago's Midway Airport for several years. Following a nation-wide search for a management firm, Elizabethtown Sports Park has selected Sports Facilities Management (SFM) to lead park operations in 2019 and beyond. Since opening to much anticipation in 2012, Elizabethtown Sports Park has been an important sports asset for tourism in Elizabethtown, Kentucky. 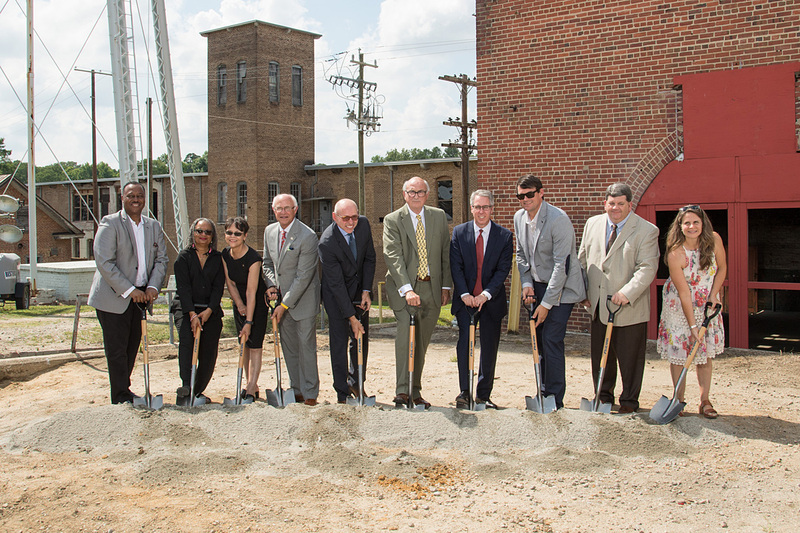 The firms have joined forces to open a multi-purpose sports complex, summer of 2019. The facility is expected to be one of the most unique, state-of-the-art outdoor and indoor sports campuses on the eastern seaboard. The indoor multi-sport and event complex, servicing the Fox Cities, opening fall of 2019, will double the region's hotel room bookings. The Sports Facilities Management (SFM) has recently announced the latest addition to their national network of successful entertainment, sports and events facilities. Opening in fall of 2019, Apex Sports & Events (APEX) will operate as a premiere sport, entertainment and tournament destination located in the city of Hillsborough, New Jersey. ASHEVILLE — A proposed $26 million indoor sports complex on the one-time site of a Swannanoa blanket manufacturer could spur development and drive tens of thousands of visitors to eastern Buncombe County, a study shows. The outdoor complex, opening spring of 2019, is expected to be one of the most exciting outdoor sports parks in the country. 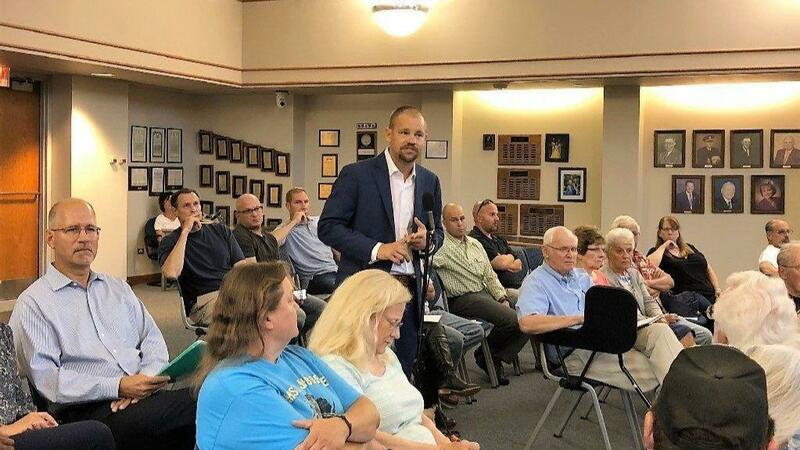 Youth sports program leaders described a need for more regional youth facilities to accommodate local and traveling leagues Monday night before village trustees approved a feasibility study for the construction of a new youth sports complex in Gurnee. The consultant, Sports Facilities Advisory (SFA), recommended a massive complex in a location still to be determined. It should have 16 outdoor fields—including 12 with lights and synthetic turf—and an adjoining dome big enough for five more multipurpose fields or two baseball or softball fields with year-round use, SFA reported. That would be enough to attract both regional youth-sports tournaments and serve local needs, SFA reported. 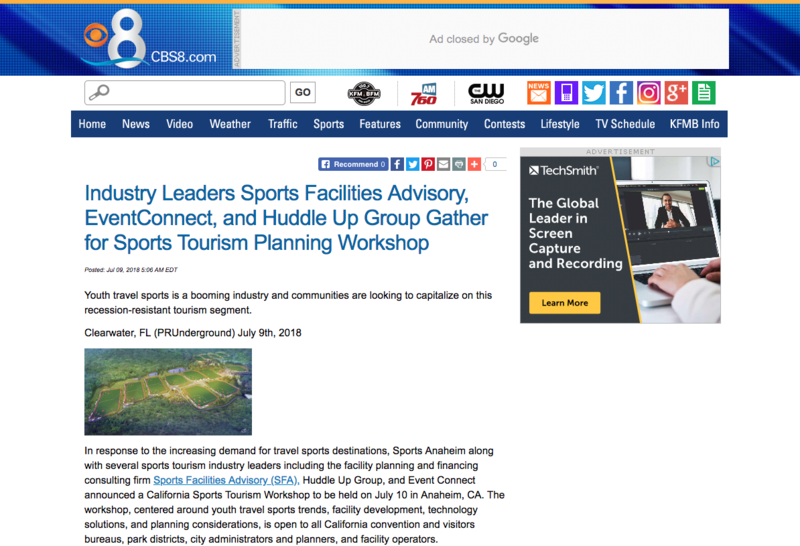 In response to the increasing demand for travel sports destinations, Sports Anaheim along with several sports tourism industry leaders including the facility planning and financing consulting firm Sports Facilities Advisory (SFA), Huddle Up Group, and Event Connect announced a California Sports Tourism Workshop to be held on July 10 in Anaheim, CA. Dev’s company produces institutional grade financial forecasts for youth and amateur sports complexes and facilities. 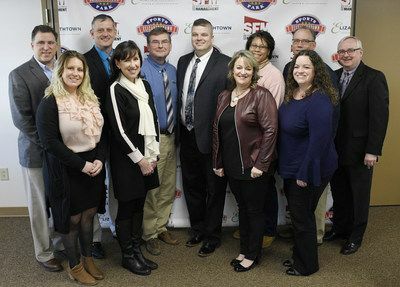 While in attendance at the Project Play 2020 spring meeting, the industry leading outsourced sports tourism and community recreation management firm, the Sports Facilities Management (SFM) founder and CEO Jason Clement and Dev Pathik announced the pilot of a new initiative, the SFM Access Program. The program, co-created by Clement and Pathik is a model for improving access to sports for underserved communities. In response to the growing demand for travel sports destinations, the DuPage Convention & Visitors Bureau along with several sports tourism industry leaders such as the planning and financing firm Sports Facilities Advisory (SFA), Huddle Up Group, Event Connect, Connect Sports, and Sports Planning Guide announced an Illinois Sports Tourism Workshop to be held April 18 in Oak Brook, IL. The Sports Facilities Advisory (SFA) announced, today, that it is stepping into the center of new facility financing. With a new suite of finance support services, the 15-year youth sports facility planning company, is now poised to support hundreds of millions in developments in a wide variety of communities throughout the U.S.
Andre Carrier, COO of Eureka Casino and Rising Star Sports Ranch, left, was accompanied by Eric Sullivan, Sports Facility Advisory and Management, as they addressed the Mesquite City Council on the need for the city to build more softball and baseball fields and soccer fields as a way to expand the tourism economy. Photo by Barbara Ellestad. The SFA & SFM brand video created by Beach Lion Studios stood alongside the best of Tampa Bay’s advertising last Thursday night at the 2018 American Advertising Awards of Tampa Bay. The annual gala recognizes the ADDY Award winners, in the first phase of a three-tier, national competition. Southampton Town Board members appear to be supportive of an ambitious plan for a $25 million aquatic center with three swimming pools in Hampton Bays—though they expressed some reservations about how the nonprofit behind the project would come up with the money. Evan Eleff, executive vice president of Sports Facilities Advisory, the company hired to manage the center, added that approximately 30 percent of the town is within a 15-minute driving distance of Red Creek Park, making it an ideal location for the center. 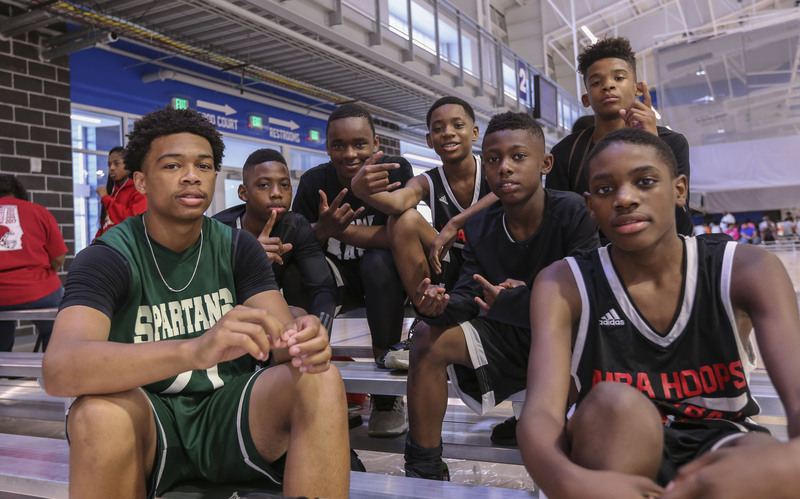 The national boom in youth travel tournaments is part of a trend that seems to be heating up. 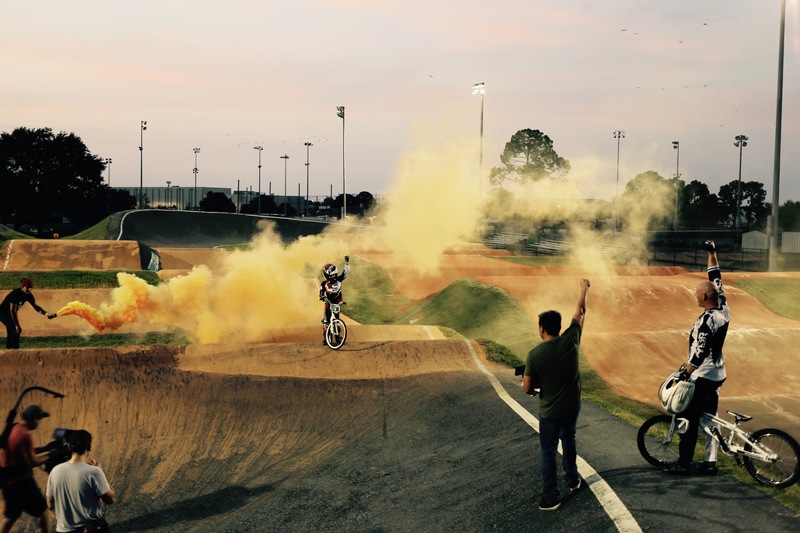 Rocky Mount North Carolina has long been a player in the travel sports marketplace, hosting more than 100,000 players and visitors annually at its outdoor sports complex. 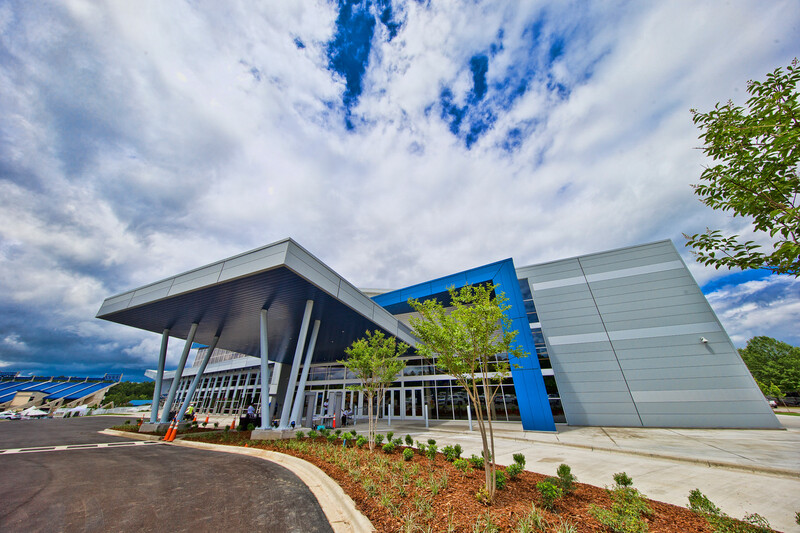 However Rocky Mount has achieved a new level of attention related to its new 165,000 sq. ft. indoor sports and events center slated to open in the fall of 2018. 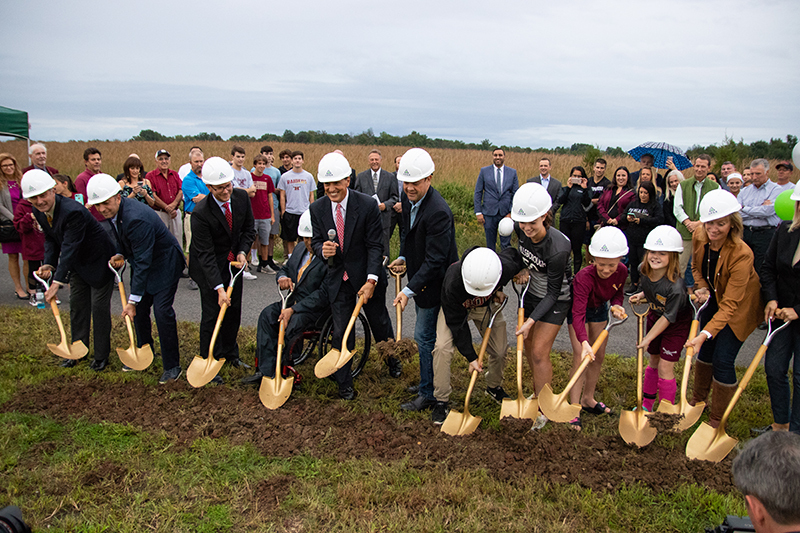 Dev Pathik, Founder and CEO of the firm that has partnered with Rocky Mount to craft this vision and to bring this new facility to life, said "Rocky Mount is ideally suited to host events. It is centrally located between Miami and NYC and is within a five-hour drive of more than 25% of the U.S. population." 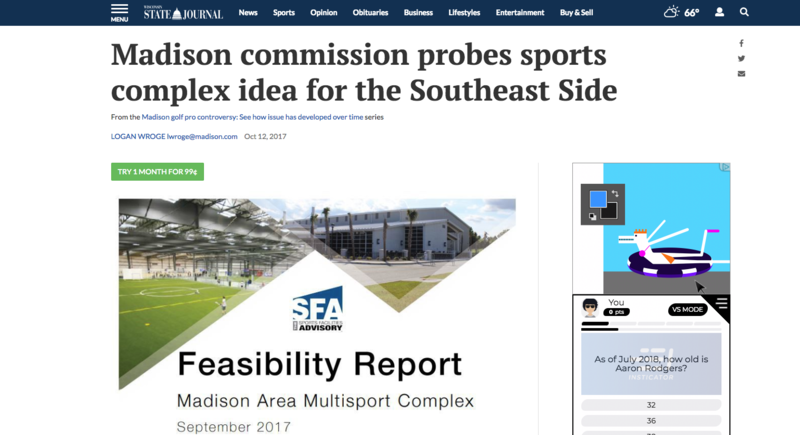 The Madison Parks Commission probed the concept of constructing a $38.3 million sports complex on the city’s Southeast Side at a meeting last week. Clearwater, Florida-based Sports Facilities Advisory created the $70,000 report, which was paid for by the city and the tribe. Dan Morton, a project manager for the company, said the biggest need in the region for sports facilities is “tournament quality” multipurpose fields. The Aspen Institute today announced a multi-year effort by more than a dozen leading sport, health, media and other organizations to grow national sport participation rates and related metrics among youth. 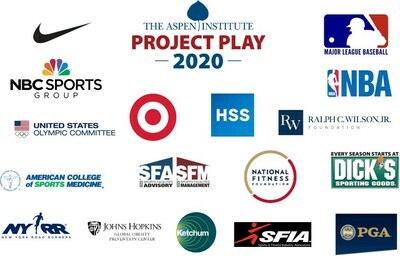 The initiative, Project Play 2020, represents the first time that industry and non-profit groups have come together to develop shared goals around making sport accessible to all children, regardless of zip code or ability. 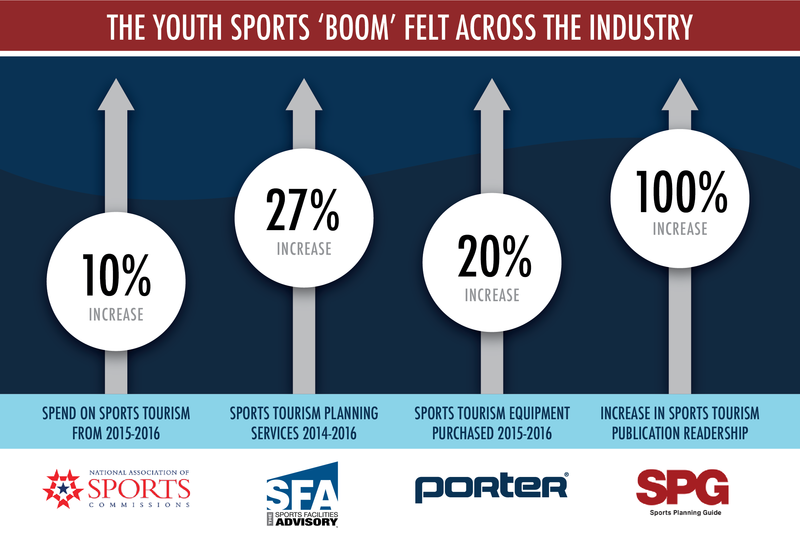 Youth Sports Tourism Keeps Booming, But How Deep Do Its Dollars Go In Communities? 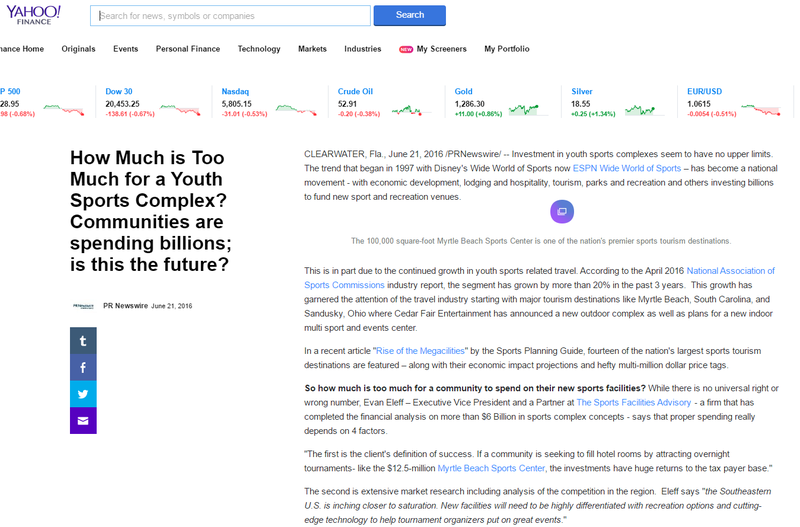 On the August 2017 edition of HBO's Real Sports, a consultant on youth sports facilities development named Dev Pathik explains to reporter Jon Frankel that $9 billion is spent per year (and growing by 20 percent annually) on youth sports travel. "It's an incredible transformation with massive ripple effects on the rest of our society," Pathik tells Frankel. Does the current pace of new youth and amateur sports facility development announcements, new project openings and the number of communities now studying market opportunities suggest an industry boom? 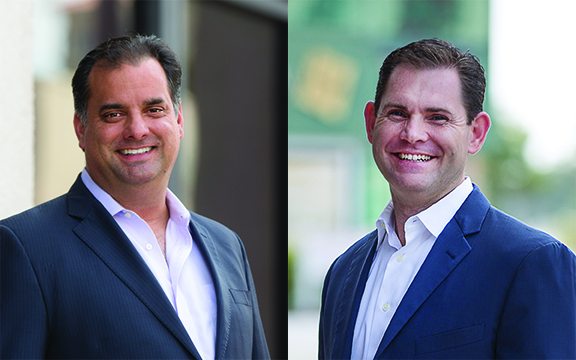 According to Dev Pathik, founder and CEO of the Sports Facilities Advisory, there is no question the U.S. is experiencing a boom in the sports tourism and recreation center markets, especially in the South and Northeast regions. 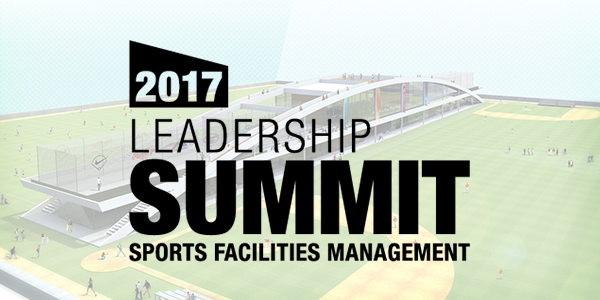 CEO Jason Clement announced earlier this week that the SFM senior leadership team and general managers will hold the 2017 Community Sport Leadership Summit in September. 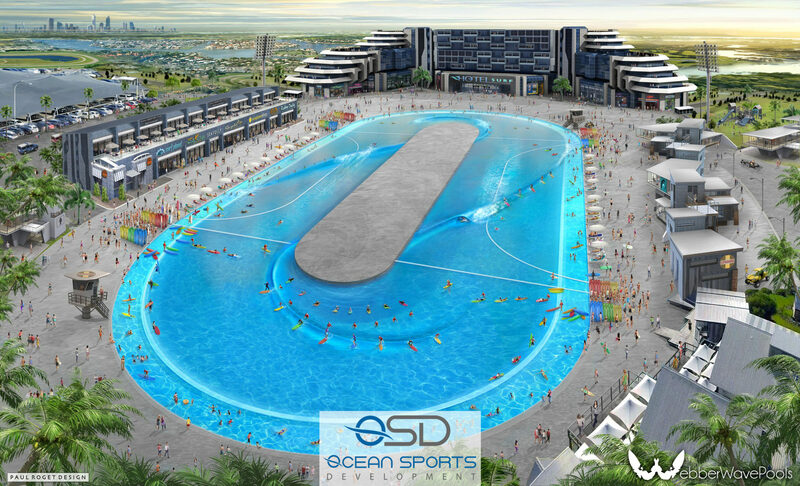 Ocean Sports Development, Inc looked to partner with SFA when considering multiple wave-pool locations for SFA's expertise in the planning and finance of sports and recreation resorts. 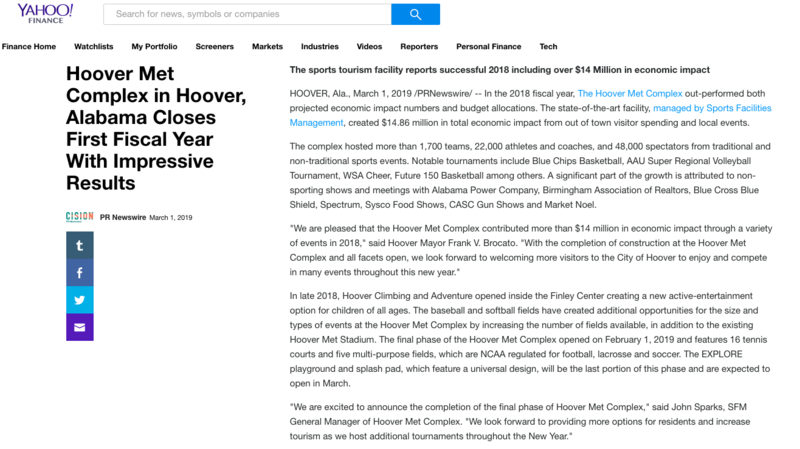 Early expectations were eclipsed when the newest venue in Sports Facilities Management's nationwide management portfolio, the Hoover Met Complex, hosted more than 135,000 guests ahead of the anticipated public open house, scheduled for later this week. The venue has already garnered Hoover a ranking as one of "The 15 best travel destinations for youth sports" alongside places like Atlanta, Myrtle Beach, Gatlinburg and Los Angeles. Construction is underway in the Town of East Fishkill, for what has been hailed as the world's largest multi-sport dome. 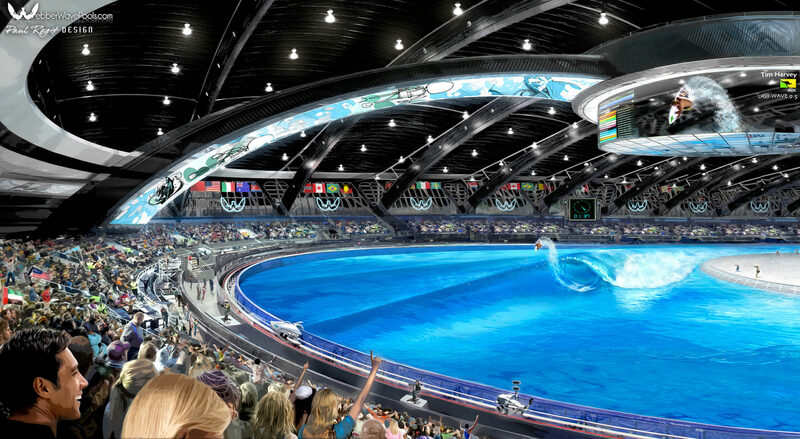 The new Sports KingDome, managed by Sports Facilities Management (SFM), is an engineering marvel, designed to withstand hurricane force winds and heavy snow loads. Where do you take your career after you’ve summited some of the world’s most challenging mountain peaks, built aerial adventure parks across the country, and trained top-ranking CEO’s in leadership? 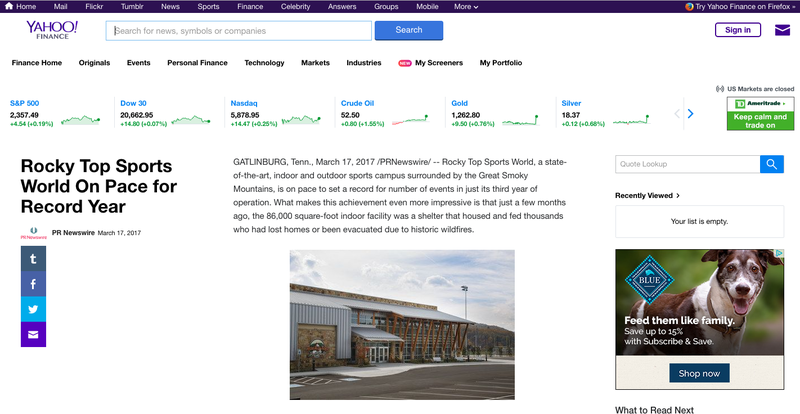 Rocky Top Sports World, a state-of-the-art, indoor and outdoor sports campus surrounded by the Great Smoky Mountains, is on pace to set a record for number of events in just its third year of operation. What makes this achievement even more impressive is that just a few months ago, the 86,000 square-foot indoor facility was a shelter that housed and fed thousands who had lost homes or been evacuated due to historic wildfires…. 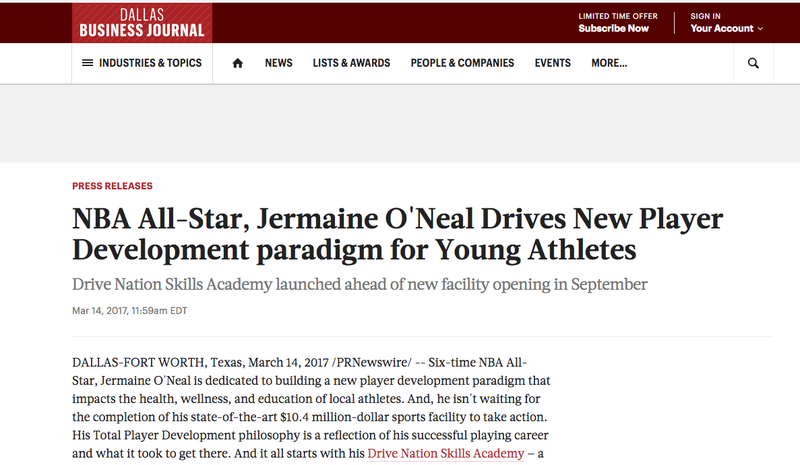 Six-time NBA All-Star, Jermaine O’Neal is dedicated to building a new player development paradigm that impacts the health, wellness, and education of local athletes. And, he isn’t waiting for the completion of his state-of-the-art $10.4 million-dollar sports facility to take action. His Total Player Development philosophy is a reflection of his successful playing career and what it took to get there…. 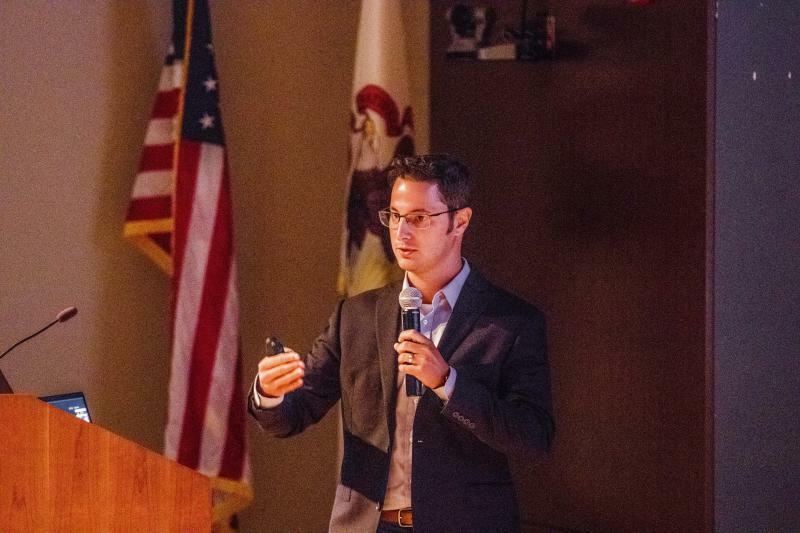 SFA’s Executive Vice President, Evan Eleff weighs in on the megactility trend and how much is too much for a youth and amateur sports complex, including 4 vital determining factors communities or developers should consider before deciding. There’s no denying the impressive impact of sports tourism these days; destinations are taking their sports inventories to the next level. These herculean sports venues, or what we like to call megacilities, have generated an estimated combined economic impact of more than $200 million to date. Project Play was created by the Aspen Institute Sports and Society program in 2013 to “find ways to help all children in America become active through sports,” according to the report. This is the first report from the group, which cited numbers saying that only 40 percent of children played a team sport regularly in 2013, down from 44.5 percent in 2008. SFA and SFM’s Founder & CEO, Dev Pathik lends The Wall Street Journal expertise on ice rink operating costs and usage fee trends. Founder & CEO, Dev Pathik speaks to Forbes about the trends in youth and amateur sports and how this is impacting communities as they begin to invest in sports tourism. If your town — no matter how small and remote it is — hasn’t developed a plan for a mega-youth sports complex, it’ll do so, probably very soon. When appropriately sited in an area with adequate lodging, dining, shopping and entertainment, sports complexes can generate millions of dollars annually by attracting events such as tournaments and camps to a specific region. This large financial impact creates development projects for municipalities, institutions and the private sector to support.” Eric Sullivan. Since 2003, The Sports Facilities Advisory has been making a difference in communities around the world by helping leaders develop and optimize sports tourism and community recreation facilities and venues. 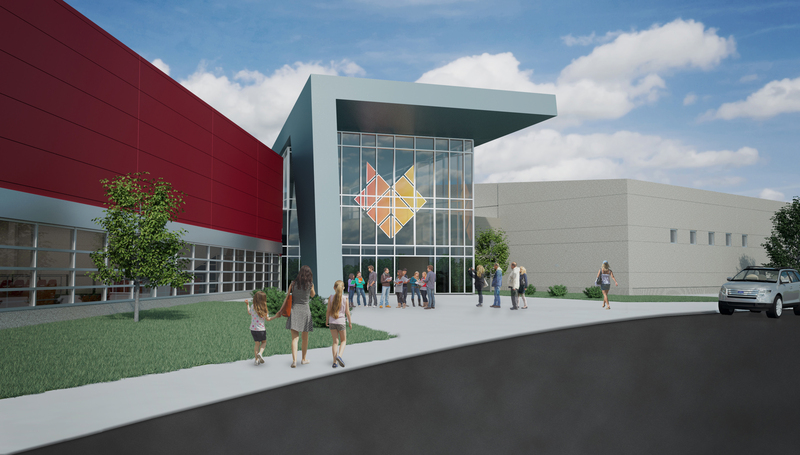 A feasibility study for a proposed 200,000-square-foot sports facility in Milwaukee helped move The Ability Center (TAC) closer to reality. The facility would be a boon to individuals affected by physical disability, offering a medical center-based fitness facility designed specifically for disabled individuals, with a focus on tournaments and organized athletic competition. The feasibility study was conducted by Sports Facilities Advisory (SFA). A management plan and budget approved for Love-Hatbox Sports Complex is projected to have a cumulative economic impact totaling nearly $22 million over five years. Feasibility study conducted by The Sports Facilities Advisory and Councilman-Hunsaker was accepted Dec. 16 by the Wilsonville City Council. Representatives from a sports facility consulting and management company visited the territory for the Paradise Jam college basketball tournament last month on St. Thomas. Now, Florida-based Sports Facilities Advisory is tasked with figuring out what type of facility could bring dollars from the sports tourism industry to St. Croix. Sports Destination Management covers sporting event production and management. It focuses on significant issues facing sports events owners and the bearing of location selection decisions. According to information by Sports Facilities Advisory (SFA), lower-income athletes are finding it harder to find a way to play at well-maintained and affordable venues since less funding is going into public sports facilities. But are these efforts enough to meaningfully boost access to youth sports? Dev Pathik, founder of Sports Facility Advisory, a planning and management firm, is skeptical. The figure of $1.8 million was derived from an estimate given to the county commissioners by a representative from Sports Facilities Advisory, a company that presented to the group in October about installing artificial turf fields at the high schools. 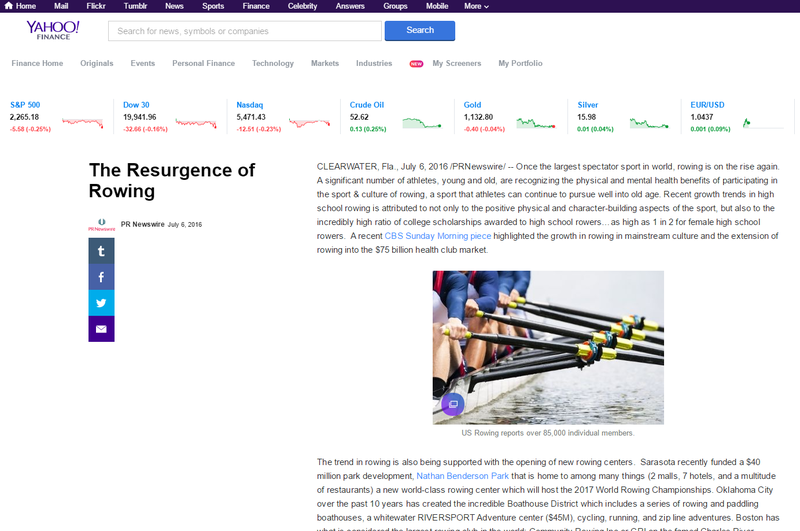 A preliminary market analysis has been completed by Sports Facilities Advisory, a Clearwater, Fla.-based consulting and management firm that specializes in these types of recreation facilities. Council also will decide on hiring Sports Facilities Advisory, a consulting firm with sports facility management that would ensure the proposed event center is designed in a way to maximize the use as well as developing a economic impact analysis. Wauwatosa man’s dream ‘Ability Center’ could have $15 million annual impact, The Sports Facilities Advisory (SFA) feasibility study finds. New Facility, Scheduled to Open in March 2015, Has Nearly Sold Out Its First Six Months. Bettendorf, Iowa leaders are asking for public input to help them decide whether to keep, replace, consolidate or get rid of the city’s aquatic center, community center and life fitness center. 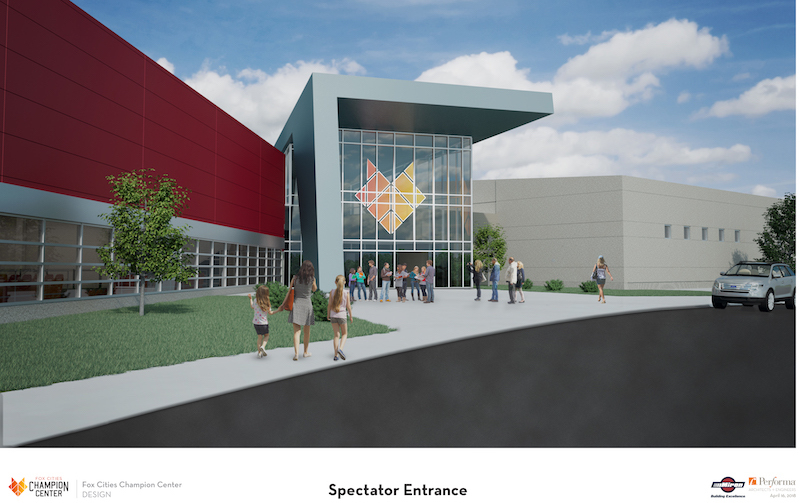 Marion, Illinois’, sports center, the Hub, is scheduled to open in January and will offer local residents, as well as traveling athletes and families, a quality recreation opportunity, while also bolstering the local economy. COULD A FORMER PAPER FACTORY FIND NEW LIFE AS A $30M SPORTS COMPLEX? The vision for the former Champion Paper plant property is to transform the sprawling manufacturing facility into a $30 million sports complex. The Sports Facilities Advisory of Clearwater, Fla. and Ripken Sports of Baltimore were hired to conduct the study of the property located along the banks of the Great Miami River. The city of Gering is one step closer to finding out what type of sporting facility is possible for the area. The city has been working with consulting firm Sports Facilities Advisory to determine what type of sporting facility will work in the area. 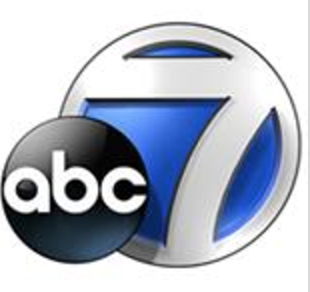 Pasco County residents waiting for that chance to have a voice in tourism can do it now through a new survey offered by The Sports Facilities Advisory. “The emphasis on play is less and less about your local parks and rec league … and less on high school and even more on travel ball. That’s where the competitive play is,” said Jason Clement, owner of Sports Facilities Advisory, a management and planning group for sports facilities nationwide. New Firm Will Provide Direct Day-to-Day Management with Performance Accountability for Sports, Entertainment, Recreation, and Events Centers. Commissioner Todd Yates first saw a similar facility in North Myrtle Beach and tells FOX8 he contacted the company that developed and manages the complex, The Sports Facility Advisory, based in Clearwater, Fla.
After the recession imposed seven years of dwindling construction job opportunities, things are brightening on the construction front, including in the sports and recreation sector, according to Sports Facilities Advisory (SFA), a consulting group that helps finance multimillion-dollar public and private sports complexes throughout the United States and internationally. Many facility operators are looking for ways to lower utility expenses through the use of new building management technology, construction methods, and new product innovations. One of the most popular and successful strategies is to build or retrofit your existing facility with an LED lighting package. 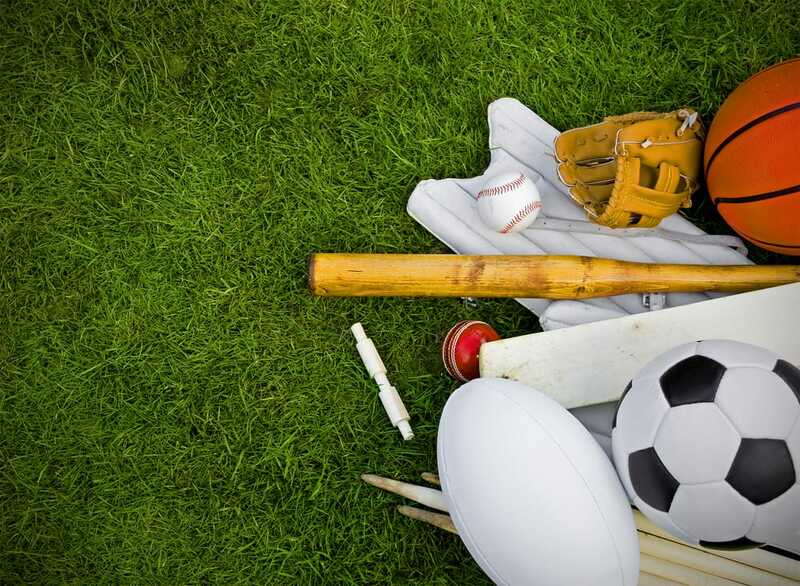 On Monday and Tuesday, officials with Sports Facilities Advisory held meetings with stakeholders, such as groups involved in baseball, softball, swimming and tennis. Meetings have also been planned with activities’ administrators of area schools, parks and recreation officials from area communities. Sports Facilities Advisory officials have also toured facilities in Gering and Scottsbluff. ​SFA and SFM addressed Davidson County Commissioners about potential sports complex. One of the reasons for the increase in travel for children still competing is the specialization in one sport at an earlier age, Lisa Delpy Neirotti, an associate professor of sport management at George Washington University, told CNBC. 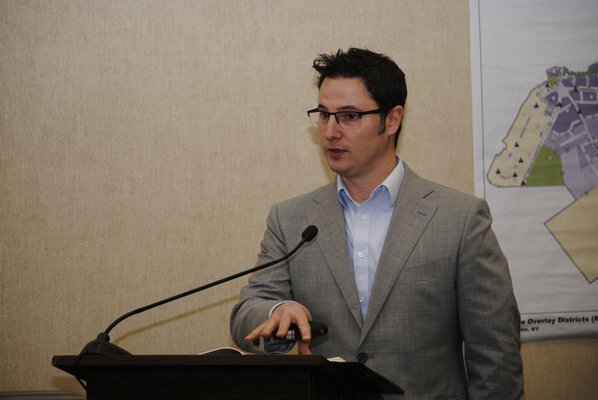 Neirotti also estimated upwards of $10 billion is spent annually on youth sports travel. The Sports Facilities Advisory announces several new professional hires and long-term veterans of the Disney family entertainment industry which the company notes are an effort to enhance the thriving industry of sports travel and tourism—an industry that is predicted to eventually rival that of Disney. 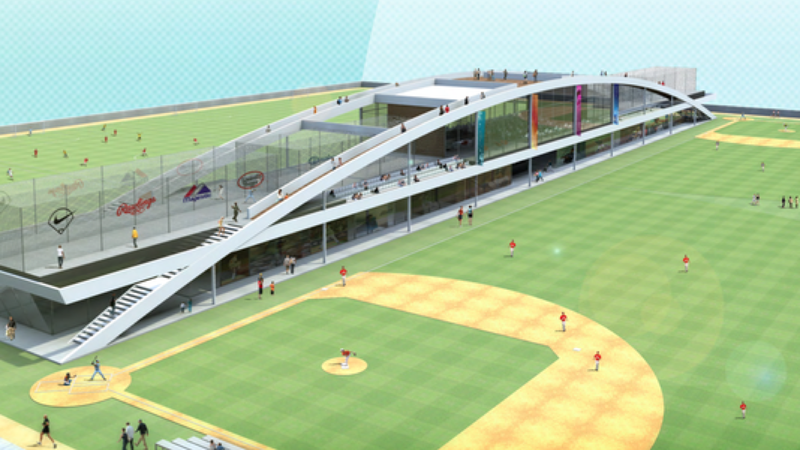 The Myrtle Beach Sports Center is scheduled to open its doors in early 2015. The facility is being developed, with the help of the Sports Facility Advisory (SFA), to attract new visitors and support the local economy. Under SFA’s management, the facility is expected to have a $30 million economic impact for Myrtle Beach within the first five years of its opening. Sports travel is a $7 billion-a-year industry and growing despite the sluggish economy, according to experts who track the movement. That statistic, cited by Sports Facilities Advisory, includes money spent on hotels, restaurants, gasoline, airfare and other travel-related costs. Nationwide, about 53 million young athletes travel to youth sporting events. The Sports Facilities Advisory partners with Bo Jackson in expanding his indoor training facilities. Society has changed and kids can’t just go play in the street anymore. Parents have chosen organized sporting events and training, [hoping for] a college scholarship. 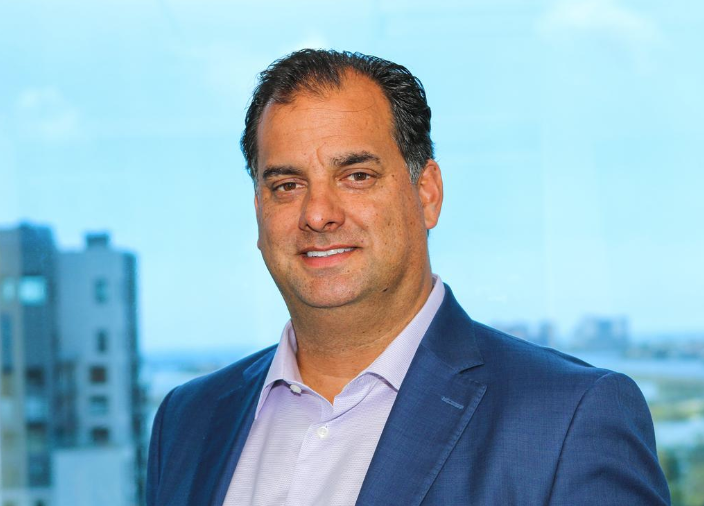 Dev Pathik, CEO Sports Facilities Advisory in Clearwater Fla., told The City Wire that spending on sports travel has steadily risen during the past few years and is largely fueled by youth sports. A partnership between Bo Jackson’s Elite Sports and The Sports Facility Advisory has been cemented to build the second Bo Jackson’s Elite Sports complex in the country and the first in Ohio.